With the releasing of Soul Surrender patch, many players complaint its difficulty. This guide is to explain how to enjoy this patch. The fact of the matter is that people don't care about being a higher ilvl or getting the best gear. They care about getting cool NEW stuff. The problem with Tomestones is that they increase the ilvl every single time new ones are released. The months of grinding needed to get the armor you've been working on is now circumvented and can be gotten relatively easily on top of now being obsolete. In essence, you've wasted your time. Not only that, but the constant increase in ilvl makes the grind a NECESSITY rather than an option. This makes it an obligation rather than something you do because you like to do it; because you enjoy the content. Releasing new Tomestones and new gear, in itself, is not the issue. It's the artificial padding that makes the game boring and tedious that's the issue. There's literally no need to raise the ilvl cap. Take Guild Wars, for example: All max level armor was the same, stat-wise, but each set had radically different requirements to obtain. People would spend months or years trying to get the rarer stuff though, because it was a status symbol. You don't NEED to constantly do it in the way FFXIV does it. You just need to release new optional content that WILL bring in new players because there's always a large group of people that want the new and cooler thing. Armor (not higher ilvl armor), mounts, minions, weapons, emotes, decorations, hairstyles, glamours, etc. These are what people want. Just add more of these instead of the CONSTANT new ilvls. Focus on actually adding more content instead of grind. 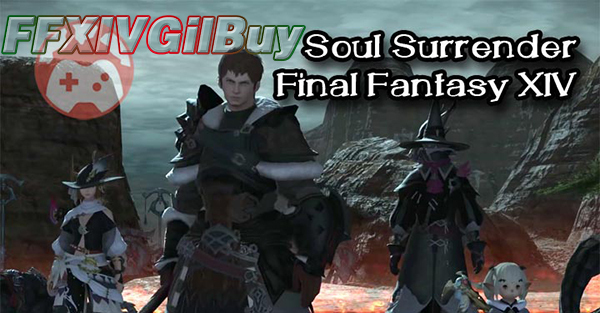 If you want to buy FFXIV Gil, FFXIVGilBuy provides huge stock of cheap FFXIV Gil with 24/7 live service and instant delivery!